Photography was introduced to China in the 1840s through the West’s engagement in the Opium Wars and the subsequent reforms of Chinese statesmen. As a result, traditional modes of expression were dramatically transformed. Uncovered here is a captivating visual history of China during photography’s first century, from the late Qing period to Republican Shanghai and wartime Chongqing. 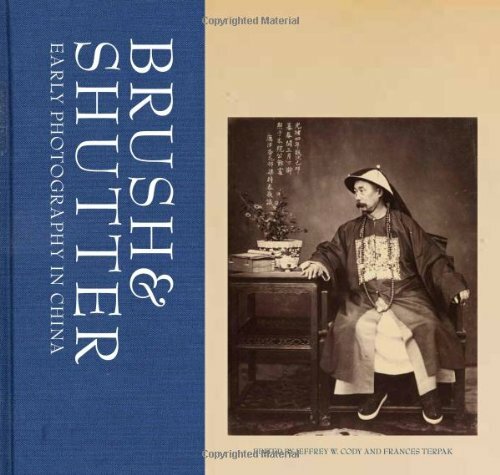 Chinese export painters learned and adapted the medium of photography by grafting the new technology onto traditional artistic conventions—employing both brush and shutter. Ultimately, both Chinese and Western photographers were witnesses to and agents of dynamic cultural change. The essays in this volume shed new light on the birth of a medium. Jeffrey Cody and Frances Terpak, together with Edwin Lai, discuss the medium’s evolution, commercialization, and dissemination; Wu Hung examines the invention of a portrait style through the lens of Milton Miller; Sarah Fraser investigates how this style shaped China’s national image; and Wen-hsin Yeh addresses the camera’s role in Republican Shanghai and wartime Chongqing. The catalogue accompanies an exhibition of the same name at the J. Paul Getty Museum from February 8 to May 1, 2011.